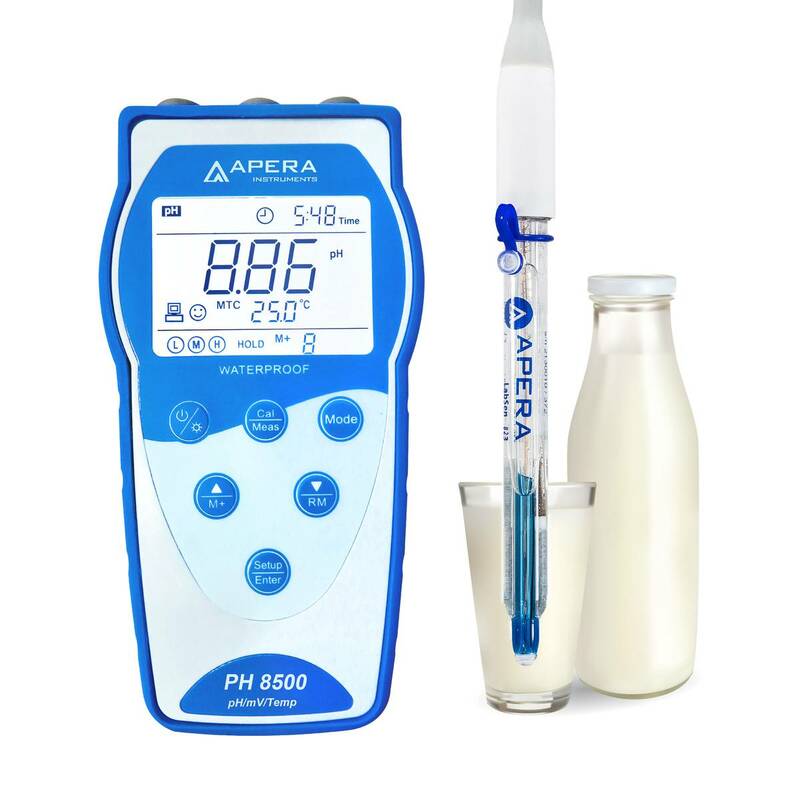 Equipped with Swiss LabSen 823 Professional 3-in-1 pH/Temperature Electrode designed for professional pH measurement of dairy products and liquid food. The Apera Instruments PH8500-DP Portable pH Meter is designed for professional pH measurement of dairy products (milk, buttermilk cream, yogurt, etc.) and other liquid food such as jam, BBQ sauce, syrup, etc. 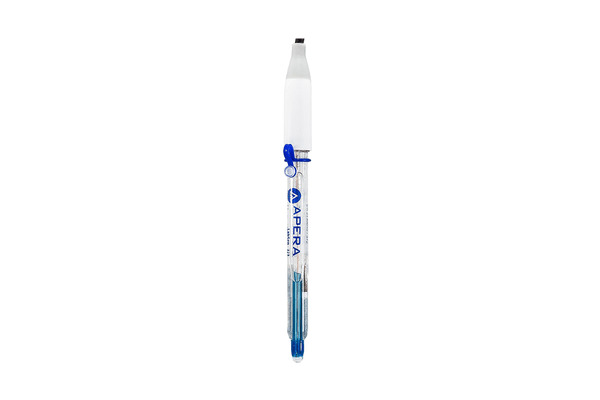 The equipped Swiss LabSen 823 3-in-1 Glass pH/Temperature Electrode adopts Proselyte electrolyte, Silver Ion Trap reference system, and a patented pH/temp. dual sensor structure, making precise and quick pH measurement of dairy products easier than ever. Say goodbye to clogged junctions and fluctuating readings. 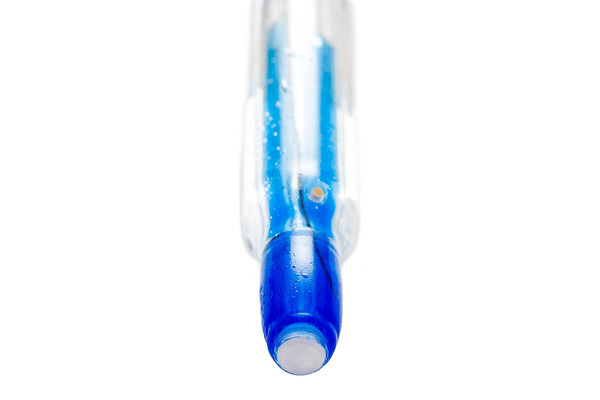 The unique LabSen blue hemispherical glass membrane has a faster response rate, better repeatability, and built tough - highly resistant to general impact (totally differentiates from the fragile conventional glass bulb membrane). 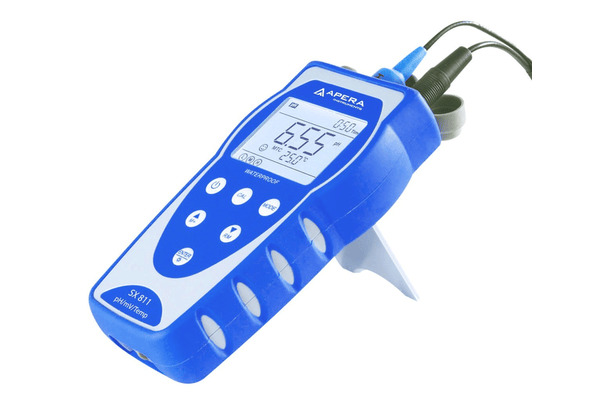 The PH8500-DP Portable pH meter for dairy products and liquid food has a ±0.01 pH accuracy in a range of 0-14 pH, and Temperature Range: -5 to 100°C (23 to 212°F), Auto Calibration with auto recognition of up to 12 kinds of buffer solutions, Auto. Temp. Compensation, and supports stable reading/auto-hold display mode. The meter's digital filter technology improves response time and accuracy.